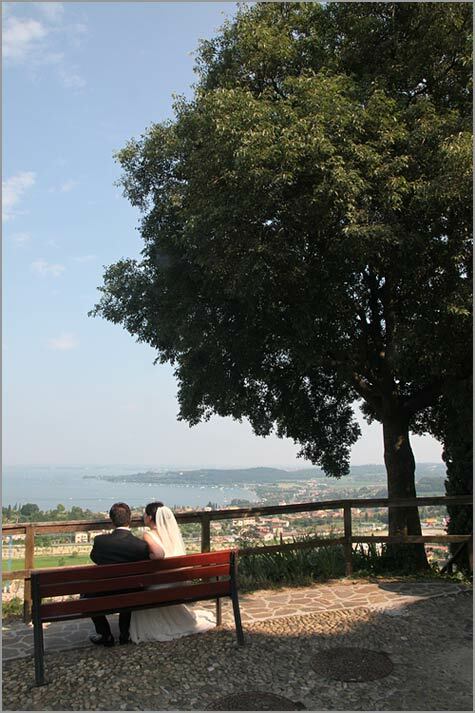 This time I will tell you about a wedding that took place in the beginning of June at Lake Garda. Not in one of the well known villages, but at Padenghe, a small place on the Brescia-part of the Lake Garda. It has its castle like almost all towns around the lakes do have former fortezze that were build by the famous Scaliger people. 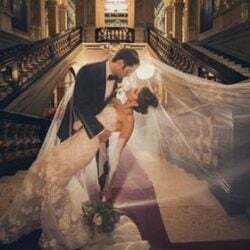 The castle was a nice scene for wedding photos. 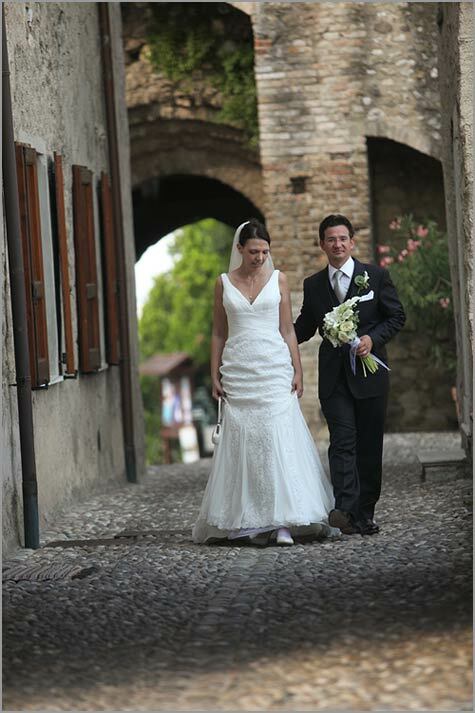 Maurizio and Judith did enjoy their day very much. 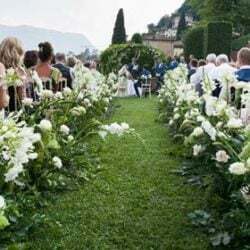 It was sunny, 120 good humor friends and family were around them, as well as the team of wedding planners consisted by Britta, Romana and Romy from Italian Lakes Wedding – Creative Wedding team. 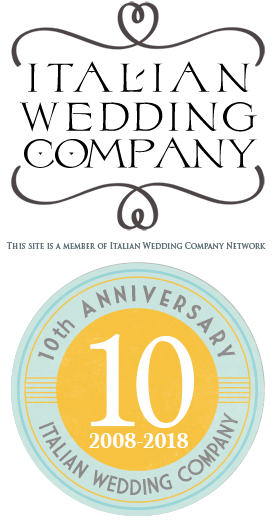 It started with the catholic wedding in the church of Padenghe, then followed by a easy aperitivo in front of the Agriturismo Pratello. 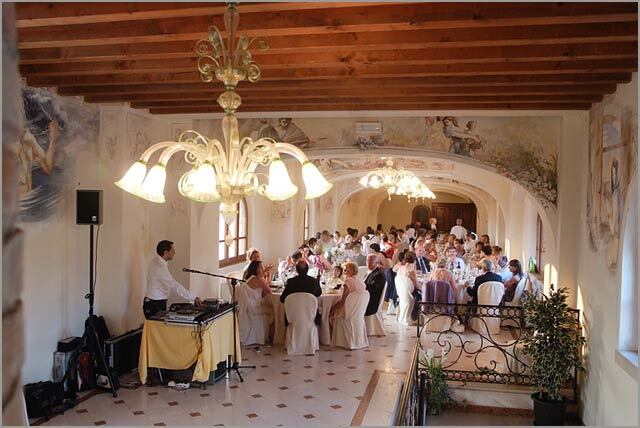 This agriturismo has next to his farmhouse an elegant villa, so this is used for the wedding reception. 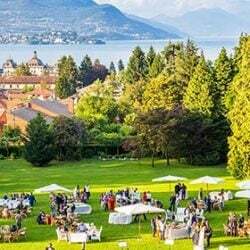 A wonderful wedding dinner was served, an typical Italian duo with Francesca and Davide did bring atmosphere into the evening and after the delicious plates there was much time for dancing. At midnight there was not only the cutting of the cake, but Britta has prepared 100 water lanterns that were set into the swimming pool. Each guest had to think a good wish for bride and groom, when placing the lotus flower with tealight onto the water. It is said that those wishes will come true, if they are not loudly spoken, but just internly thought. Another important point was the vintage car. 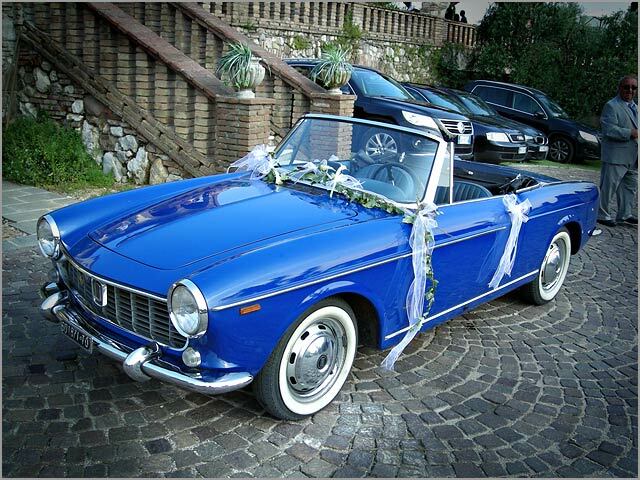 But not just a luxury car, no it had to be an Italian branded oldtimer, look how stylish this Fiat Spider. 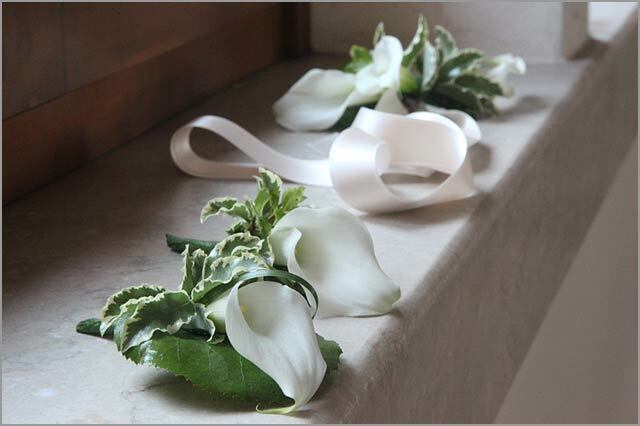 Last but not least let me mention the flowers, callas and the colors white and green were the base of the decoration all over. Very much in tonality with the surrounding nature.